For the imager who doesn't need the robotic capability of the Flip-Flat, the Flat-Man is now available. The Flat-Man uses the same technology as the Flip-Flat, but is manually placed on the OTA for flat field imaging. The only power you need is a USB cable, and our Windows XP software will light and control the brightness of the Flat-Man. 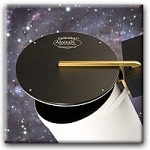 Simply rotate your telescope until the dewshield is pointed straight up and place the Flat-Man centered on your scope. The #19056 Flat-Man package includes an additional expansion ring allowing use with OTA's having dew shields up to 8-1/8" in diameter, USB cable, and software. 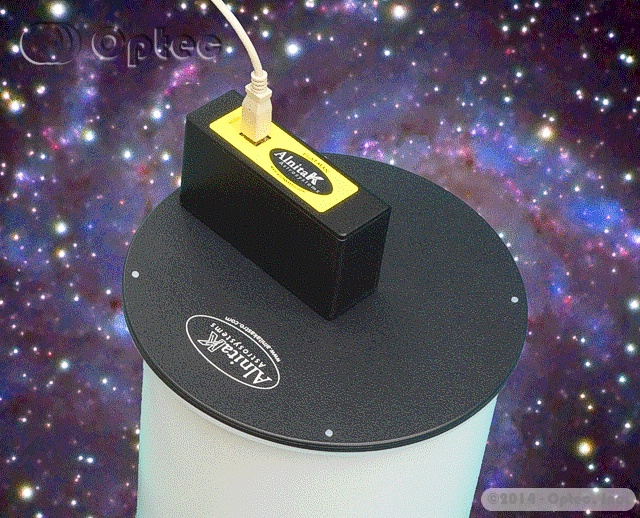 Fully illuminated lamp is 6.7" (170mm) in diameter.